Whether you choose to dine in the privacy of your casita or to enjoy your meal in one of our stunning restaurants, you will find that every meal here is as unforgettable as your surroundings. 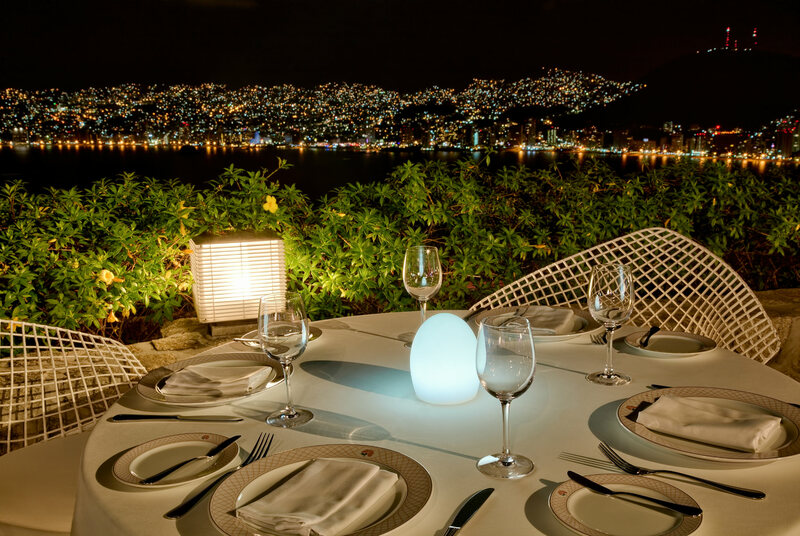 With legendary views of Acapulco, Bellavista Restaurant is a gorgeous space to enjoy unique cuisine. The glamorous mid-century design creates a romantic atmosphere that you will delight in whether you are having breakfast or dinner. Dinner attire is elegant. 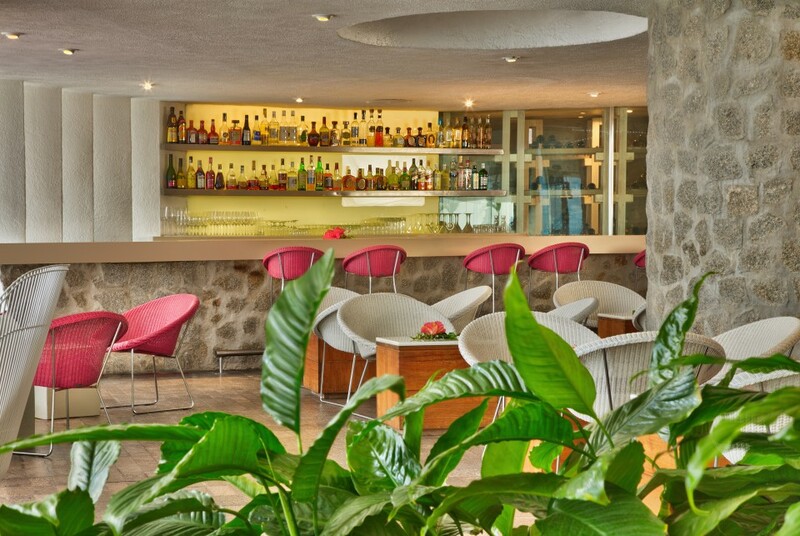 With live piano music in the evening and breathtaking views all day long, Bellavista Bar is the perfect place to enjoy expertly crafted cocktails and the beauty of Acapulco. Attire is elegant. 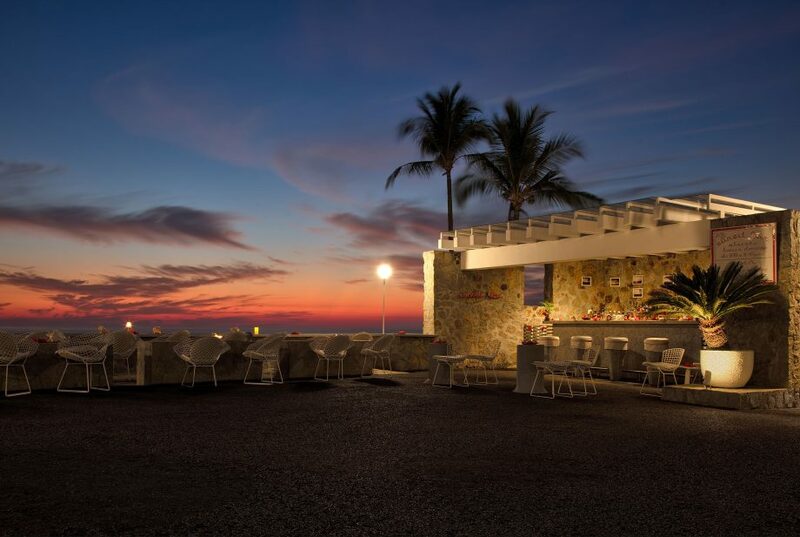 Within the exclusive La Concha Beach Club, you will find the "La Concha" Restaurant; with seafood specialties, gourmet pizza, and a wide variety of starters and entrees. 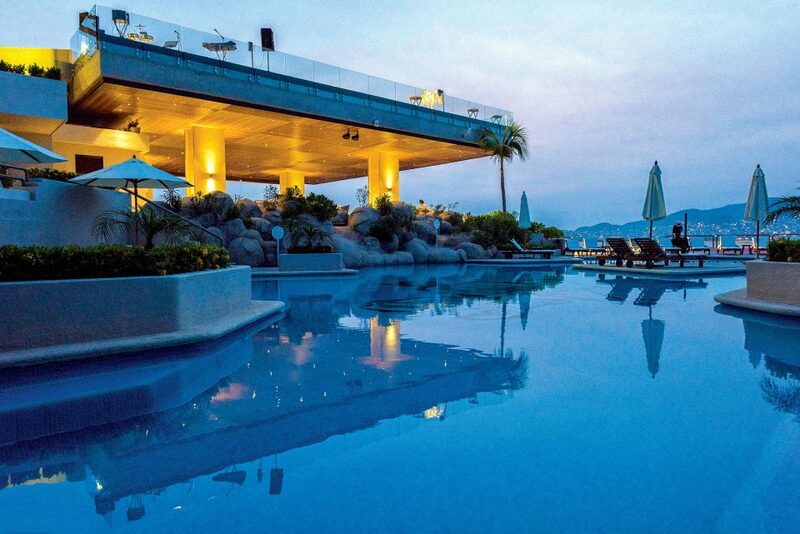 With a spectacular panoramic view of Acapulco. Enjoy refreshing cocktails served in our bar with access from the pool. Attire is casual. 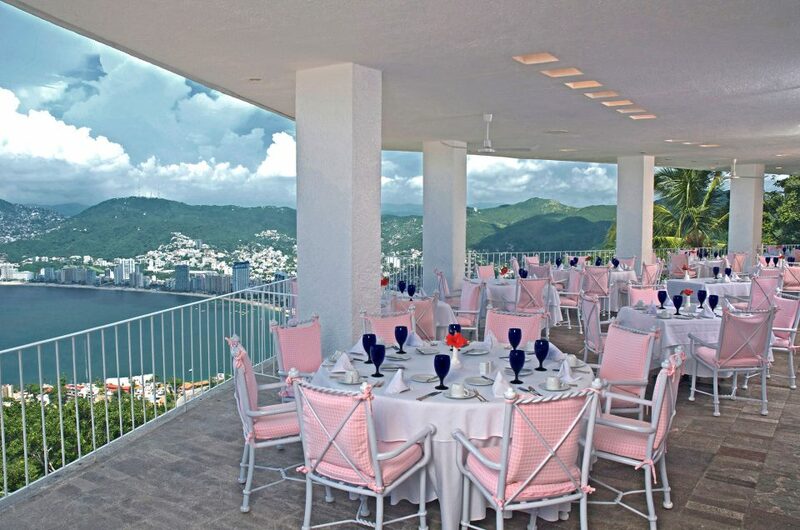 Perched on top of the hill, El Tulipan is a lovely outdoor restaurant. Serving a full breakfast and fresh juices, this place is the ideal place to start your day. Please note, this restaurant is only open seasonally. Attire is resort casual. An outdoor oasis perched on an overlook of the Pacific Ocean, our Sunset Bar is where you go to sip on our signature cocktail, the Brisas Breeze, and watch as the sun majestically drops below the horizon. Attire is casual.